As if you don't already know these reasons, we list our 'Top Ten' below, in no particular order. 1. Because it looks so good! You have been so tired of looking at those ugly stains on the carpet that have been there for over 9 months, and are never going to go away without a little carpet refresher. What are you to do, replace your carpet, or simply pay a little bit of money for a carpet cleaning professional to do the handy work? We vote the latter, probably because it's our job to do so, but that's just us! 2. Your shoes are tired of walking on the carpet anyway! You need to remember to take your shoes off when you walk in the door, and this is the perfect way to remind yourself. Your shoes are the dirtiest thing in your house, next to the kitchen sink. When your carpets are fully clean, you will see the lack of stains, and remind yourself that you don't want to add any new blemish to the beautiful, sparkling clean rugs. 3. The Clean Carpet smell is awesome. There are few better feelings than walking into your house after a long day at work knowing that your nose will experience pure bliss when you open the door. That so fresh and so clean smell will make you savor your brand new clean carpet, and want to get a carpet cleaning a bit more often. 4. Simply put, it prolongs the life of your carpet. 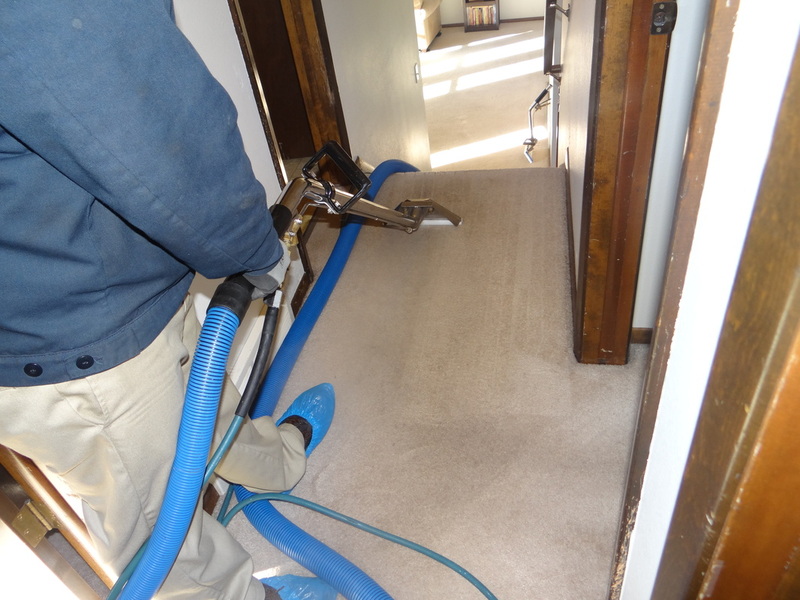 The recommendation is to get your carpets cleaned once every six months. Why? Well, it removes damaging odor, dirt, and fibers from deep down into the unreachable depths of your carpet, which left to fester can cause you to have to replace your carpet a bit faster than you would normally need to. What's better, spending a little bit of money to hire a carpet cleaner, or dropping a massive amount of dough on a whole new carpet? Point made. 5. Those stains are a bit unsightly. Every time you walk in the house, you can spot exactly where you spilled the red wine, where the bowl of spaghetti was accidentally turned over by the dog, or exactly where your aging kitty vomited. Your young son or daughter had a bit too much to eat one night, and now the upheavel has created a vast array of island looking decorations imbedded in your carpet. There's not suppose to be a map of Japan on the floor is there? If so, time for a carpet cleaning. 6. Clean Carpets are easy to maintain. My mother got her carpets cleaned the other day before we went over to visit. I marveled at the look, but she mentioned that the best result is that she doesn't have to clean them so regularly now, because carpets professionally cleaned removes so much soil, dirt, and grime that there is no need to break out the vacuum as regularly. 8. Your allergies will thank you! Homeowners would be amazed at the amount of pollen that gets trapped in your carpets. Picture this. Your kids are playing outside for about 3 hours, accumulating a rather large amount of dirt, grime, pollen, and god knows what else. They then run inside, dragging everything they've been busy hoarding on their shoes onto your carpets. And kids run around. A lot. Therefore if you have pollen, ragweed, cottonwood, or any other kind of allergies, they can be right under your nose, and you wouldn't even know it. In this instance, time for a carpet cleaning. 9. If you drive a lot, you sit in a dirt factory. No matter if you have leather seats, you will still have carpet in your car, truck, or SUV that needs to be cleaned on the regular. Just because that carpet is in your car doesn't mean you can't get it professionally cleaned. And we can also clean your seats as well. It's called upholstery cleaning if you haven't heard of it, and it's the new wave when it comes to professional auto detailing. 10. Because your bare feet flat out deserve a clean carpet. Fort Collins Carpet Cleaners wants to make sure that you feel comfortable taking your shoes off in your own home and staying a while. There's no worse feeling than when you're walking on your own carpet, and you can feel the dirt sticking to your feet. A simple vacuum won't cure that, so call Fort Collins Carpet Cleaners today at 970-422-1601 and ask about our specials. Your feet will thank you!